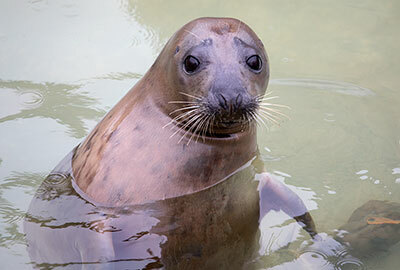 The Cornish Seal Sanctuary will be welcoming their newest resident grey seal, one year old Aayla, on 17th July 2018. Aayla was initially rescued in Norfolk, a malnourished pup with a small wound on her front right flipper. After being treated by a vet, it was discovered that the injury to her flipper was much more serious. An infection had spread under the skin and into bones of her flipper, in order to survive, the bones had to be removed to stop the infection spreading further. 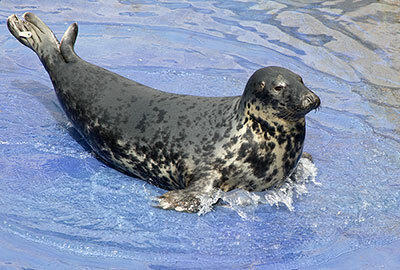 SEA LIFE Hunstanton in Norfolk was where Aayla was provided a home to recover and start rehabilitation. The wound is healing very slowly and Vets advised that she will require further medical treatment in the future. Not the best start to life for Aayla, who has now outgrown her rehabilitation pool and was in desperate need to find a long-term rehabilitation and care facility to call home. 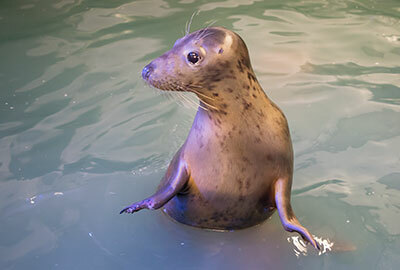 The Cornish Seal Sanctuary is the perfect new home for Aayla, what better place to go than sunny Cornwall where she will not only have the best possible care but she will also be pool partners with one year old Jinx (photo right), who is currently on a weight loss programme and would welcome another friend to swim and play with! Aayla will be arriving at the Sanctuary on Tuesday 17th July 2018 at 2.30pm.